Simon Cowell is Going to be a Father?! This morning I learned that 53 year old grouch Simon Cowell, X Factor judge and former American Idol judge, is going to be a father. And that’s not the best part. The mother of his child is his friend Andrew Silverman’s estranged wife, Lauren Silverman. Yes. You read correctly. Simon Cowell got his friend’s wife pregnant. The two have been hanging out quite a bit over the past two years. Lauren Silverman plans to leave her husband to be with Cowell. She’s ten weeks along in her pregnancy. I’m not sure how to react to this news. First there’s the fact that he’s having a child with a woman who is married to another man. Isn’t this a violation of bro code? I mean, I know that Andrew and Lauren have been separated for a while but Jesus! That doesn’t give him permission to swoop in and impregnate the woman! Then there’s the terrible reality that this is Simon Cowell we’re talking about here. The man we love to hate. I wouldn’t exactly trust him to babysit a child, much less be the parent or guardian of one. He’s just not the type of guy you can picture cradling a child in his arms. No matter how hard I try I just can’t do it! 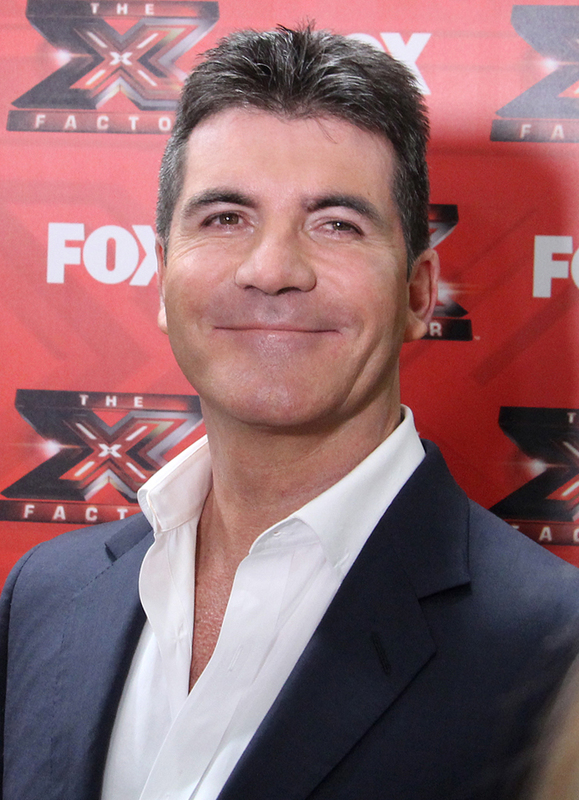 I hope Simon Cowell treats the youngster better than he treats the contestants on The X Factor. Amanda Bynes has graduated from calling people ugly and throwing bongs out of windows. She is now an arsonist. Amanda Bynes is being detained for setting an elderly woman’s driveway on fire in a Thousand Oaks, California retirement community. A neighbor saw what was going on and called the cops. 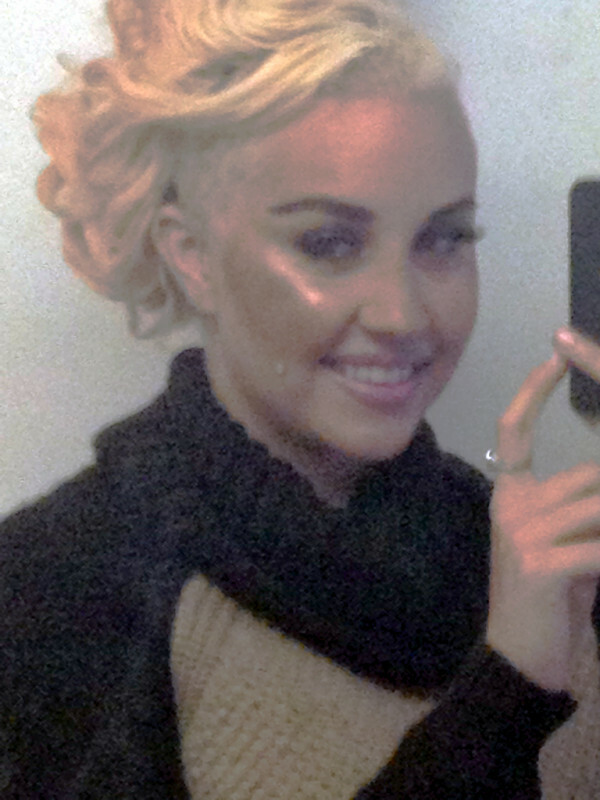 Bynes was spotted with a red gas tank and burns on her clothing. After giving the police some crazy responses as to what she was doing, they decided to put her on 5150 psychiatric hold. Her dog was also drenched in gasoline. This means Amanda will be held for 72 hours for evaluation. Almost 24 hours have already passed. If endangering the life of an elderly woman and a dog isn’t enough to get this girl some help, I don’t know what will. 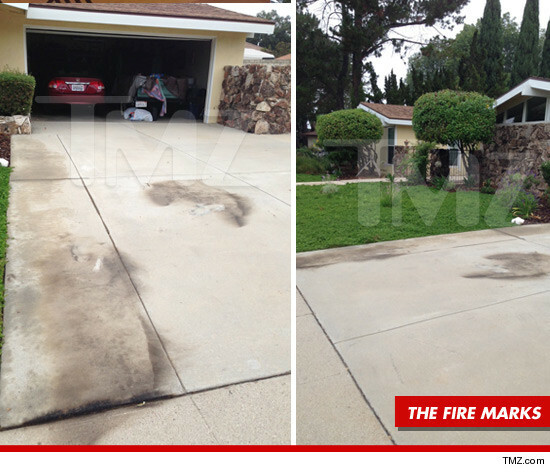 TMZ interviewed the woman who’s driveway was set on fire. Apparently she had no idea what was going on until the police officers knocked on her door. They asked her if she knew Amanda Bynes, or if she would have any reasonable motive to want to harm the woman. She answered no to both questions. The woman is still not sure if she wants to press charges. This is not the first time Amanda Bynes has caused trouble in this Thousand Oaks retirement community. This passed Sunday she was accused of trespassing on a old couple’s lawn. She was drunk and trying to get into their house. The retirement community called her a cab which she had no money to pay for. The driver kicked her out, causing her to walk back to the retirement community. The community then decided to call the cops. I still can’t wrap my head around the fact that Amanda Bynes was able to pay a $9,000 bill at the Ritz Carleton last week and now she doesn’t have enough money to pay a cab. I really hope they find reason to keep her in psychiatric care for a while. She doesn’t seem stable and we really don’t want her to end up hurting herself—or these old people. The wait is over. ABC Family has decided to cancel Amy Sherman-Palladino’s Bunheads. I cannot believe that after being in limbo for five months they’ve decided to drop the series. 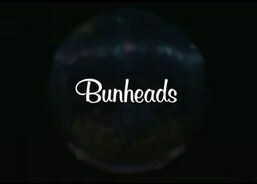 With all the new shows being added to the lineup on the network, there really isn’t a spot for Bunheads. ABC Family has chosen to pick up shows such as The Fosters, Twisted, and the new Ravenswood this fall. This isn’t the first time ABC Family dropped a show I’d grown attached to. Last year they dropped Jane by Design, a show about a high school girl named Jane who got a job as an assistant to fashion designer Grey Chandler. The only reason she was hired for the position was because she was mistaken for an adult. I can see how a plot line for a show like that would fizzle out, but Bunheads? No. Bunheads was special. The show Bunheads is about a Las Vegas showgirl named Michelle Simms (Sutton Foster) who gets swept off her feet by Hubbell Flowers, an admirer who frequents her shows. She marries and moves with him to Paradise, California where he dies in a car accident hours after the reception. Michelle is left with Hubbell’s mother, Madam Fanny and her ballet dance studio. Since Michelle was a former bunhead (ballerina) she ends up helping to teach the classes. I’m really going to miss Michelle. She had a very sarcastic and witty sense of humor that will turn any bad day upside down. I’ll also miss the students from Madam Fanny’s class, especially Ginny and Boo. Also seeing one of my favorite contestants from So You Think You Can Dance, Jeanine Mason as Cozette, was very refreshing. I didn’t even know she could act. It’s great to see that her career is taking off. However, this is the end. No more quirky ballerinas. No more Michelle’s hot surfer dude boyfriend with a PhD. No more cute Carl and Boo romance. No more ridiculous barista at the town coffee shop. The saddest part is that the season 1 finale (now the series finale) ended with Ginny crying on Michelle’s shoulder. Now I’m crying with Ginny! I hope the actors of Bunheads get picked up for other shows. I’ll be looking out for them. It’s been five episodes and I am most definitely hooked! Last nights episode of Devious Maids titled “Taking Out the Trash” was full of drama. Between hitting people over the head with prosthetic legs and catfights with Remi’s high school ex-girlfriend, I could not help but stare at the screen with my jaw dropped as it all went down. One of the biggest jaw droppers of this episode is learning that Carmen is married. Yes, she is still tied to the man who tried to stop her from making her dreams become a reality. Her husband Oscar finds out where she is working as a maid, and takes a trip out to see her. Sam and Odessa convince her to face him and let him know she doesn’t want to be married anymore. However, Oscar has other plans, including returning her wedding band and trying to lure her back into his life with a gig at his friend’s restaurant. Carmen refuses and things get violent. Oscar begins to forcefully grab Carmen and leave the house with her. Sam tries to take him on but gets knocked out and onto the bird cage, accidentally setting Alejandro Rubio’s bird free. As much as Odessa wants to ruin Carmen’s life, she doesn’t want to give Oscar the pleasure of doing it for her, so she hits him over the head with her prosthetic leg. That was the best fight I’ve seen in a while! 2. When Peri Westmore leaves for work, Spence Westmore decides to swoop Rosie in for a kiss. She tells him no, and when he persists she threatens to hit him over the head with a pan. Peri returns to grab her keys and Rosie keeps her promise, leaving Spence on the floor just as Peri walks into the kitchen. Ooops. Blame it on the waxed floors! 3. Eddie had proposed to Flora a few months before her death. This case isn’t looking up for this kid. 4. Every year, Evelyn and Adrian Powell celebrate their dead son’s birthday. I just find it odd that they go the whole nine yards with a cake, candles AND a gift for him. He’s not alive to eat the cake, blow out the candles or even wear the wonderful cashmere blouse Evelyn got him! A simple memorial would have been fine but this is just too much! I hope they donate those gifts to a nice charity every year. As with every week, I can never believe the episode is already over when it ends. Can’t wait for next week! In last night’s Pretty Little Liars episode titled “Under the Gun,” viewers get a sneak peek at Ravenswood, the town where the spinoff series of the same name is to take place. Ravenswood is set to air this October on ABC Family, and boy does it look creepy. As soon as Spencer Hastings and Toby Cavanaugh (Troian Bellisario and Keegan Allen) enter the fictional town in Pennsylvania, one notices the colors are a bit off. The color is drained from literally everything in the town. The asphalt on the streets of Ravenswood are not black. No, no. They’re gray. And the leaves on the trees and the bushes? Not green. Black. Spencer takes one look around and notices that there are no street signs. Huh. Asking for directions? Well good luck with that, because there’s a 99.9% chance that the woman who just walked passed you with a child on each hand will pretend she didn’t hear you. Not exactly the kind of town I’d like to be stuck in. Then there’s that weird music that lures everyone to the angel statue in the graveyard at noon, almost like a sinister afternoon lullaby. It doesn’t help that all the citizens of Ravenswood walk like zombies. To top it off, there are ravens. Groups of ravens. But they look like crows. Do you know what they call a group of crows? A murder. Groups of ravens can be either a constable, a conspiracy, or unkindness. I suspect this group is all three: an investigator of crime, an evil plan, and some sort of wicked scheme. One of the ravens/crows hit the windshield of Spencer’s car as she was trying leave Ravenswood to follow Shana. It’s chest was ripped open, leaving behind a splatter of dark red blood. If that’s what Ravenswood is going to look like all season, then I’m preparing myself for the nightmares. Because I don’t do well with horror. I don’t know about the rest of you Pretty Little Liars fans, but Ravenswood isn’t exactly my cup of tea. However, I might only watch it for Caleb Rivers. I still can’t get over the shock. This morning I was mindlessly scrolling through my Instagram feed when I stopped on a collage of photos from peoplemag. 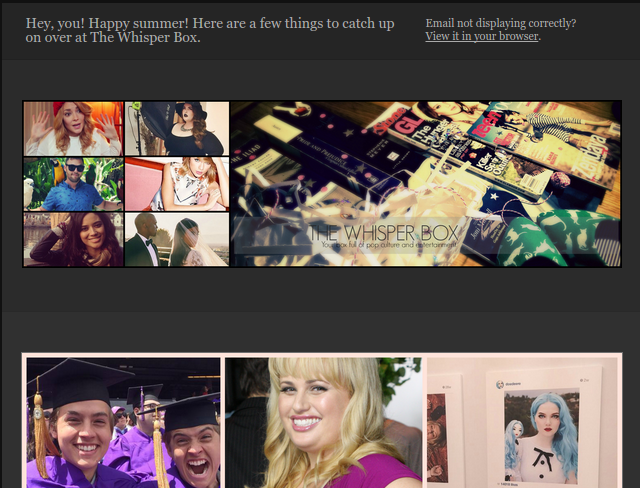 The photos were of Glee star Cory Monteith. I read the description to learn that they were posted in memory of him. What? Cory Monteith is no longer with us? No. This can’t be happening, I said to myself. I couldn’t believe it. I thought it was some sort of sick joke until I googled it. 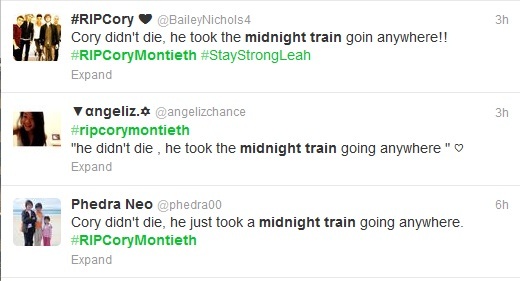 The reality started to sink in for sure when I saw #RIPCoryMonteith and #PrayforLea trending on Twitter. 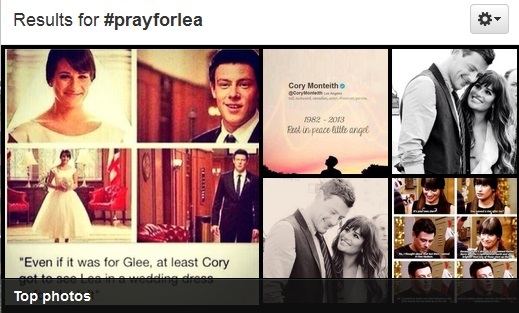 The top photos on the pray for Lea hashtag are tear inducing. Lea Michele and Cory Monteith had been dating since early 2012. I can only imagine the pain his parents and Lea Michele are experiencing at the time. 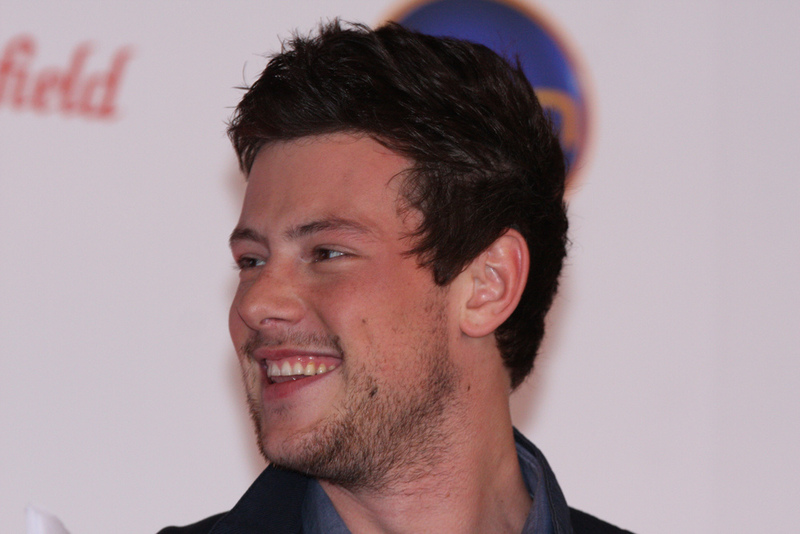 Monteith was found dead in a hotel room at Vancouver’s Fairmont Pacific Rim Hotel on Saturday, July 13th. He was supposed to check out of the hotel yesterday. After staff noticed he hadn’t, they went to his room to check on him. By then it was too late. Paramedics pronounced him dead. Reports state he was alone when he died. His autopsy is scheduled for Monday. UPDATE: (7/16) Monteith died of a toxic mixture of heroin and alcohol, British Columbia Coroners Service says. Cory Monteith was only 31 years old. Incredibly sad. He still had so much ahead of him. The Canadian actor struggled with drug abuse and had checked into rehab back in March of this year. He completed his treatments in April and was reunited with his costar and girlfriend Lea Michele soon after. Glee fans all over the world are grieving the loss of this awesome actor. We are deeply saddened by this tragic news. Cory was an exceptional talent and an even more exceptional person. He was a true joy to work with and we will all miss him tremendously. Our thoughts and prayers are with his family and loved ones. Lea Michele’s rep asks that we give her some privacy during this time. In midst of all this, we remember that Finn Hudson, Monteith’s character on Glee, never wanted us to stop believing. Check out how celebrities are responding to his death. You will be missed, Cory Allan Michael Monteith. Rest in peace. What’s life without a little bit of leaked music, eh? Yesterday, Selena Gomez’s song “Love Will Remember”, which will be released on the Stars Dance album on July 23rd, got leaked. She doesn’t seem that upset about it either. She embraced it, posting a video to her YouTube sending fans to the song via Soundcloud link. The big hype about this song is the fact that the intro features a voicemail. Said voicemail might be a real voicemail from her ex Justin Bieber. I will admit that it does sound like Bieber. And its a pretty sweet message. Is it wrong that this little detail reminded me of that article I read on Hollyscoop about Justin Bieber (aka Bitter Bieber, haha) banning all Selena Gomez songs from his photoshoot? I bet this song is at the very top of his banned list now!! Selena Gomez admitted to InStyle that the song is about Bieber. “That’s the most personal track on the record, for sure. I think it’s a sweet way of releasing it. It’s not an aggressive approach to what people are probably expecting,” she said. 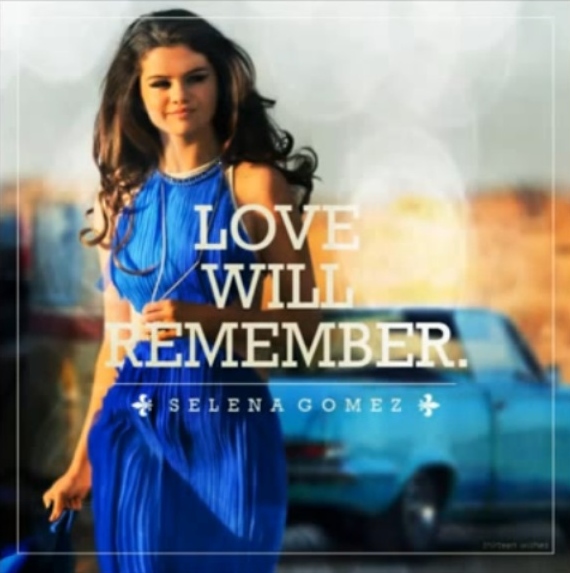 “Love Will Remember” is a ballady type song. It’s not too slow, but the tempo is light enough to evoke more of an appreciation for the lyrics. I think the lyrics are the best part of this song. Writers Antonina Armato, Desmond Child, David Jost and T. James did a mighty fine job of working with Selena to create such profound lyrics. So romantic! Brings a tear to my eye! I think the underlying “Oh”‘s in the chorus are a nice touch as well. I’m not going to lie, I didn’t really like the song too much when I heard it the first time. It took three listens to really get into it. Can’t wait to hear the rest of the album later this month!